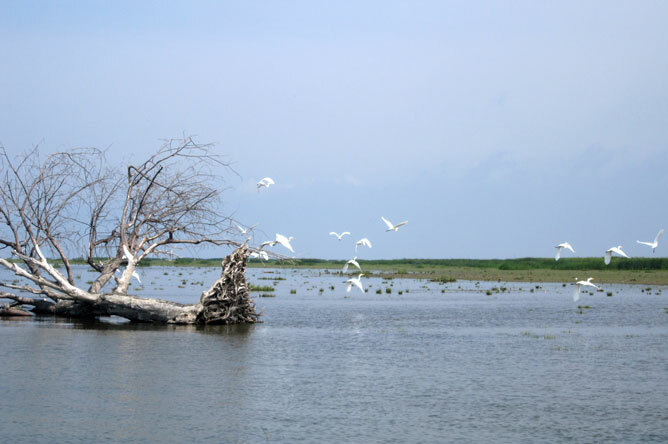 As a boat approaches the Lake Saint-Pierre waterfowl banding station, a magnificent flock of Great Egrets takes flight. This station in the south-west sector of Lake Saint-Pierre has been operated by the Société d'aménagement de la baie Lavallière (SABL) for nearly 25 years. 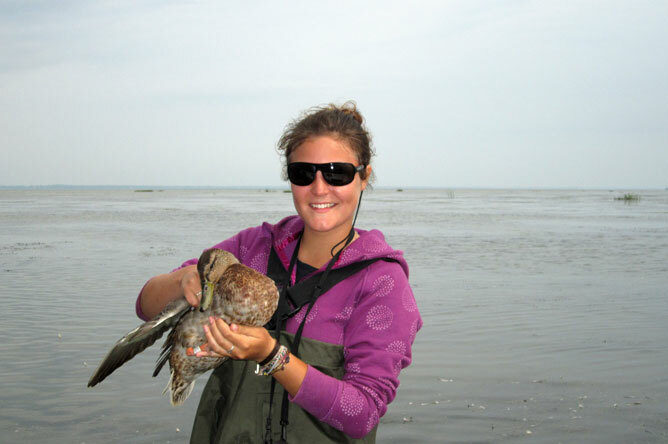 Caroline Courchesne, a high school student in Environmental Science, is banding ducks for the Société d'aménagement de la baie Lavallière (SABL) as part of an internship. 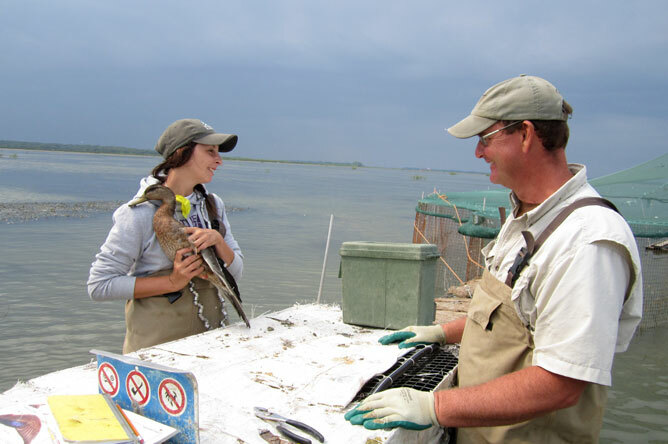 Paul Messier, wildlife technician and director of the SABL, shows her how to take measurements of the ducks and place numbered bands around their feet. Fannie Cartier, a student in Wildlife Management at the Cégep de Saint-Félicien, appreciates having this field experience to perfect the practical knowledge she will need in her career.